This brochure would be appropriate for an organization striving to provide healthcare to all patients. 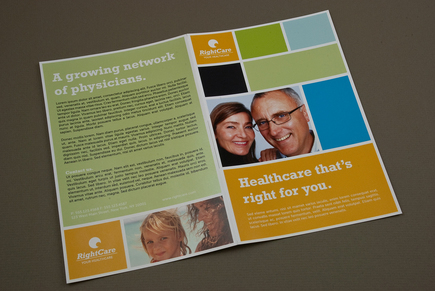 The structured layout of the brochure conveys a sense of professionalism and expertise, which is appropriate for the medical industry. There is adequate space to describe programs, plans, coverage and physicians.